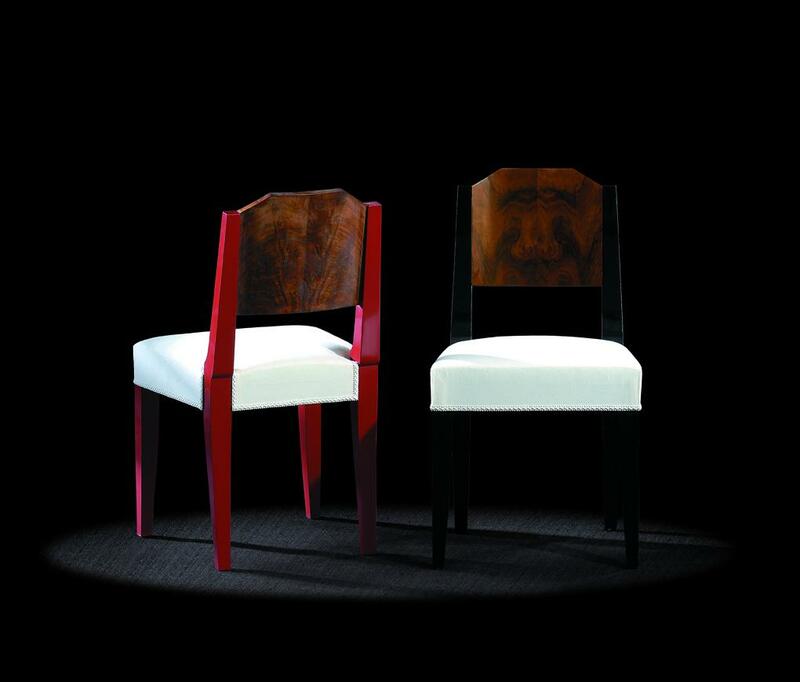 This original and innovative model works with art deco, contemporary, or contrasting design styles. The pyramid back with its semi-cious wood veneer seems at odds with its simple form. Furthermore the legs can only be covered by an experienced joiner. The sophistication comes from the differences between the walnut veneer and the lacquered finish in the back. One can apciate the flawless archi- tecture and the neat decorative style that gives cedence to the extrovert nature of the wood on the back.